Family hug. A generation picture Madame Adelaide Bon Famille is Anita's mother and Anita is Wendy's mother. 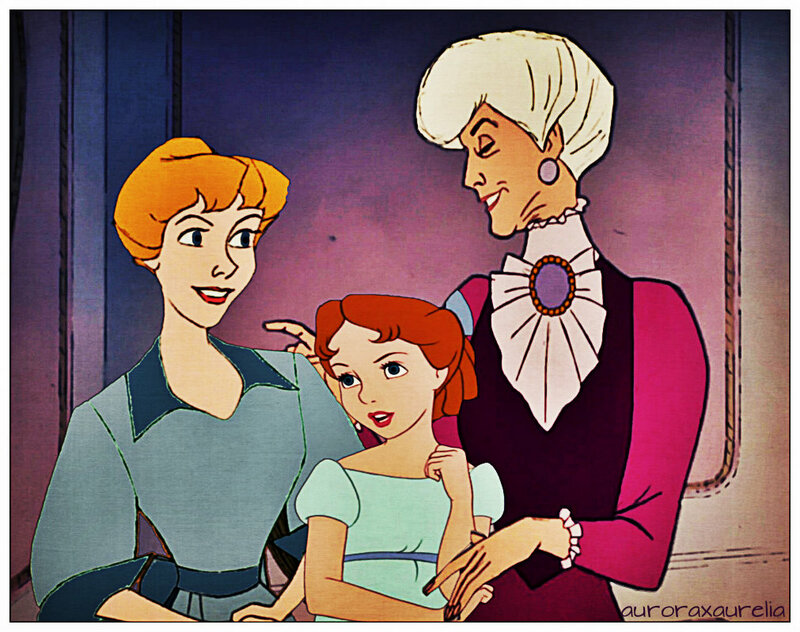 Three generations.. HD Wallpaper and background images in the Кроссовер диснеевских персонажей club tagged: disney crossover family mother daughter grandmother wendy anita madame adelaide bon famille. "Do Ты Believe In Fairytales?"